Traffic accidents are one of the leading causes of death among all age groups in this country. This app seeks to help make the roads a bit safer. The app first uses GPS to monitor one's speed. 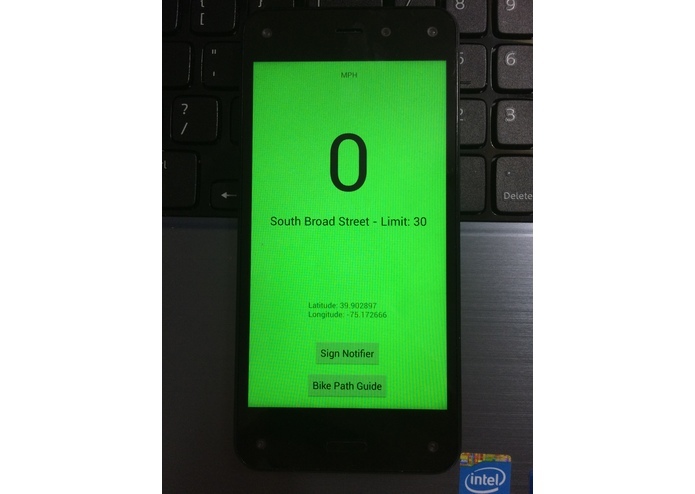 It also monitors the current street using Google Maps API, and looks up the posted speed limit using a Mongo database automatically, without the need of the driver to pre-set the route. It then notifies the driver when he/she exceeds the posted speed limit. 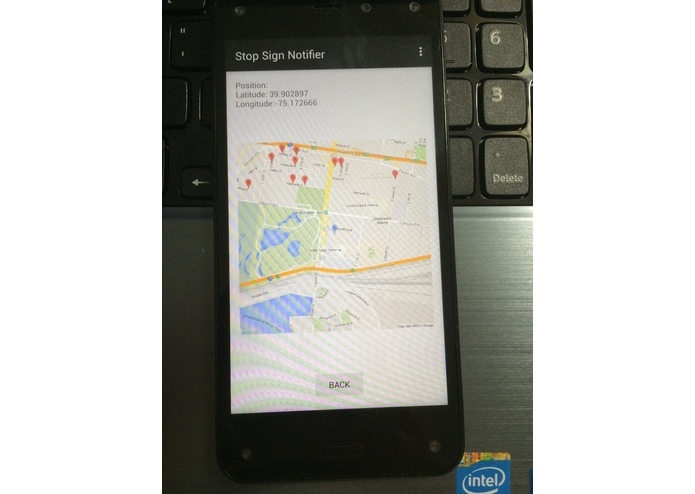 The app also has a mode for beginning drivers, by notifying them of upcoming stop signs. This reminder is like a Driver's Ed teacher, helping correct upcoming mistakes. 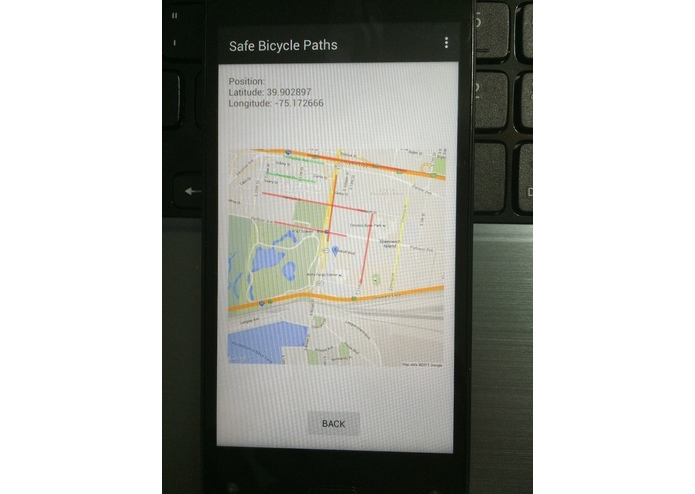 The app also seeks to make bike traffic easier, by identifying which roads have bike lanes, and which ones usually have high traffic, and are not good routes for bicyclists. The app runs on any device that runs Android. Choosing the most accurate form of speed tracking required some experimentation. Calculating difference/time of two GPS coordinates was one option, but it did lead to error. The onboard accelerometer was also an option, but overall, using GPS speed tracking proved to be the best option. The app updates the street and speed limit within seconds of changing routes. I learned a lot about Android development and database implementation.